The evacuation of the city began two days in advance on a voluntary basis. 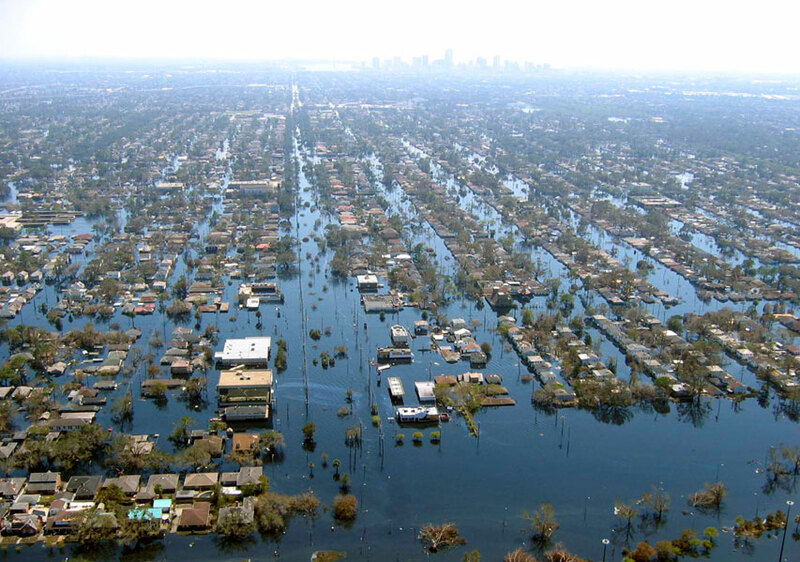 A day before Katrina arrived, the mayor made the evacuation mandatory. There was enough time for everyone to evacuate, but not everyone wanted to leave the city. For example because they thought that Katrina would not pass close by the city. Some didn’t have transport or a place to go to. The path that a hurricane will follow is uncertain. The people of Louisiana know that, because hurricanes threaten the area regularly. Read about hurricanes here. The mayors intention was that everyone would leave the city. When it became clear that some of the people intended to stay, a number of emergency shelters were opened up. The shelters offered protection, but they did not have not sufficient food and water, or emergency power supply, or medicine. One of them was the Super Dome (a stadium), where 35,000 people were eventually sheltered. The people themselves had to take the necessary supplies with them, as if they were going camping for a couple of days. After a few days the situation in the Super Dome was getting desperate: too hot (over 40˚C), the toilets were out of order, there was not enough food and water. On September 3 the evacuation of the emergency shelters began. New Orleans after the flood. When the hurricane had passed, the city was for a large part destroyed by the rain, wind and flooding. Homes had no electricity, no tap water, the phones did not work. The shops were flooded or simply closed, ATMs were out of order. The roads were flooded or damaged in a major part of the city. The police could not be everywhere at the same time, thus looting and thefts took place. The emergency services went in boats to the flooded neighbourhoods and evacuated people from their homes or brought relief. After the breaches in the dikes were closed, it took until October 11 before all the water was pumped from the city. Return of all residents was not possible. First the debris had to be removed and amenities such as electricity, water and sanitation had to be repaired. 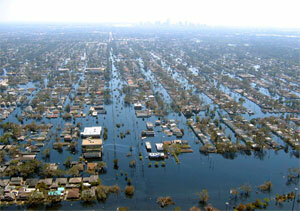 Two years after Katrina approximately 65% of the residents have returned to the city. The reconstruction of the city is still far from completed. The nola.com website keeps the memory alive of all that happened after Katrina came.